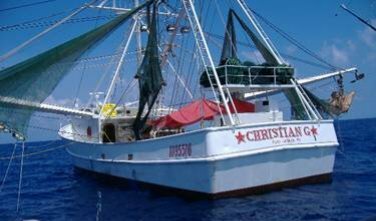 Fishing In Galveston Texas: Deep Sea Fishing Photos. Deep sea fishing in Galveston Texas is a moment to capture on camera. 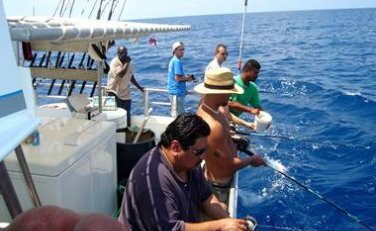 Galveston is not known to have blue waters like the Caribbean Islands but the blue-black deep sea guarantees some good fishing. 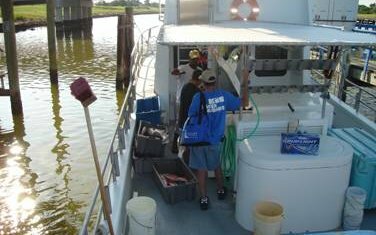 One of the great spots of fishing is around shrimp boats. A lot of big fish gather around to eat the waste poured into the water. This trip was on a 12 man boat that hauled in 700 lbs. of fish. There was a lot of space around for fishing. 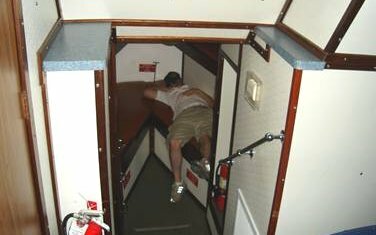 This is a 12 man boat. Not very big but right size for the number of fishermen. Others get so excited about the fishing trip that they drink their heads off and miss the whole fun. 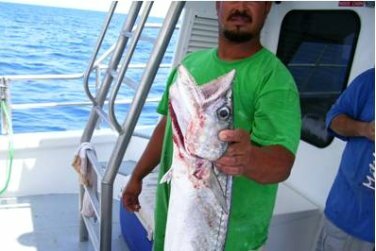 One of the best places to catch big fishes like tuna, sharks, king fish, amber jack, and wahoo is around the shrimp boat. A lot of fish biting the bate here. Big dolphins are trying to get some of the big fish off the hook. Here is one of the good catches that escaped the watery mouth of the dolphins. 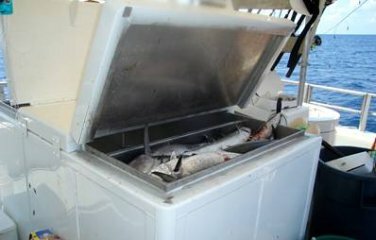 Over 700lbs of fish was caught way before time to go back. 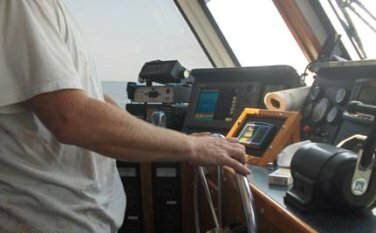 On the way back the captain allows the fishing crew to steer the boat under his surveillance.